TENA quality at an affordable price. This product has innovative features that help promote efficiency while providing a more comfortable, flexible fit for wearers. TENA Dry Comfort Briefs feature readjustable hook fastening tabs and odor control technology for secure and comfortable protection. Available in discreet cases only. Size Choose an optionM 34"-47"L 48"-59"XL 60"-64"
• MOISTURE PROOF LINING runs the full length of the product and protects clothing and linens against wetness. • READJUSTABLE HOOK FASTENING TABS provide secure protection and high comfort. Promotes easy handling and unlimited refastenability. • TENA®’S CURVED LEG ELASTICS are designed with body curves in mind, they ensure a close body fit for a highly secure and comfortable protection. • WETNESS INDICATOR on the outside of the product turns from yellow to blue indicating that it needs to be checked. • PRODUCTION CODE allows for tracking of the production date and time for increased quality control. M 34"-47", L 48"-59", XL 60"-64"
I bought this for my aunt back in my country, the delivery time was very good it arrive in time. I am waiting her feed back about the product. I am very pleased with the service from CarewayClub, immediate verification of order, notice of shipment, and actual shipment. You are far and above the service of TENA USA. I have been very satisfied with the service and savings we have enjoyed. Order online and they deliver to your door. Easy. 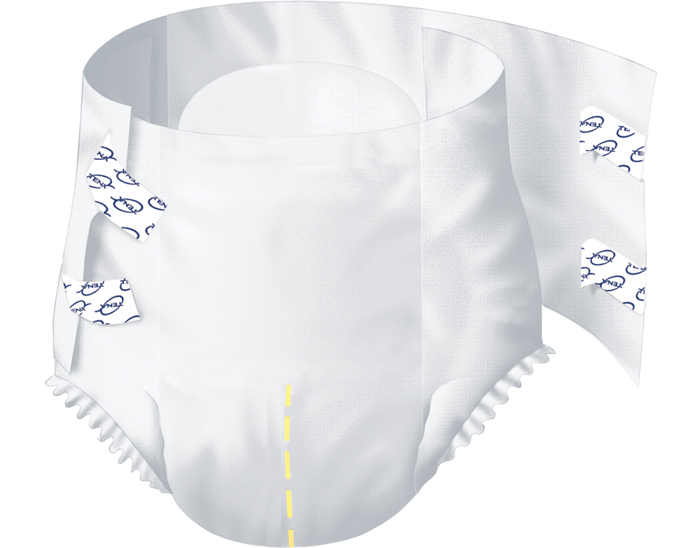 I recommend anyone who uses incontinence supplies, check out your products and service. You make helping elderly parents a breeze. 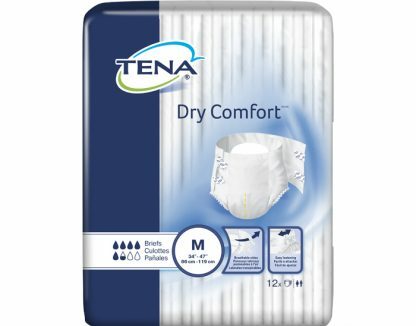 Our local stores have stopped carrying Tena Products. My wife and I love the ease of ordering on line and we shall continue to do so. The order arrived within 4 days of ordering! No problems. Arrived promptly, I have used TENA products before and like them very much. Excellent service. I am very satisfied with Tena products. 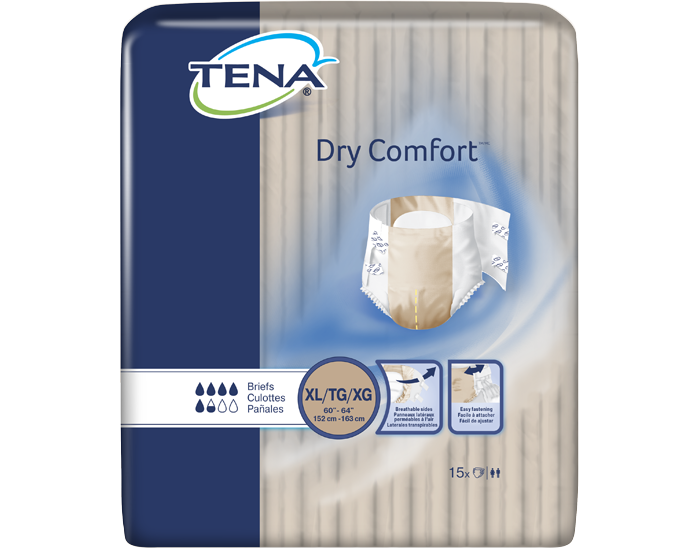 Tena has a better selection of supplies for men than other manufacturers. Prices are reasonable, and delivery is very quick. And I’d much rather order online than carry an armload of pads out of the grocery store. I have been very pleased with my order from Tena. I have had much less skin irritation using Tena products. I am impressed and will continue to use your products. Thank you. Better and cheaper than Depends! No leaks or bunching. I've found TENA products to be great and their Customer Service and Follow Up Quick & even Better! They do a great job in helping you. Why TENA? I’ve tried every product on the market offered at our local stores. Most of them are worthless!!! TENA has it figured out. I especially like the Instadry pads and the Overnight pads. I also have the moderate pads on hand for when I am at home. TENA doesn’t get much, if any, shelf space at the stores I shop, so I am very glad to be able to order them and have them delivered to my door. Keep it up CarewayClub!!! 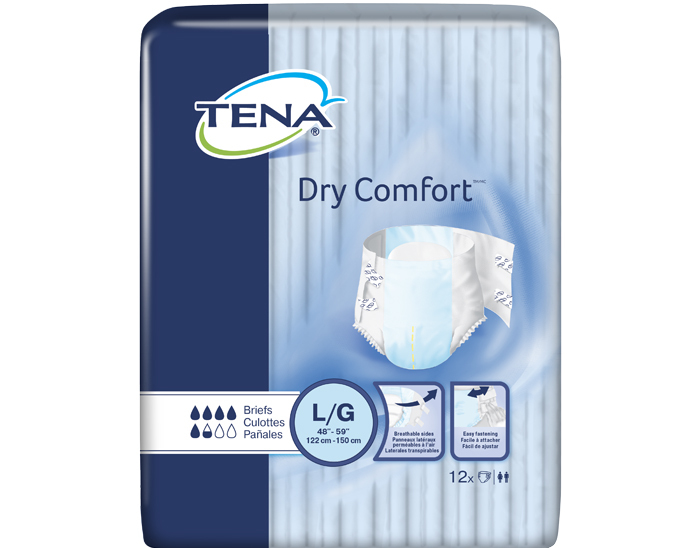 The TENA ultimate pads we use are far superior than all other brands we have tried. Thank you for making them available. I'm so glad that I joined the CarewayClub. As a 100 year old great-grandmother it sure is nice to not have the hassle of having to go to the pharmacy or local department store to get my pads. They product is exactly what I've been using and the convenience and quality is what I expected. I highly recommend this club as a method of getting sanitation products discretely and on time. Thank you. I've been ordering from CarewayClub.com this past year, and I love it. It's so easy, and my order is at my door in a matter of days! I'm so glad I found this online club. No more running to multiple stores to find the TENA products I want. Excellent service at a great price! 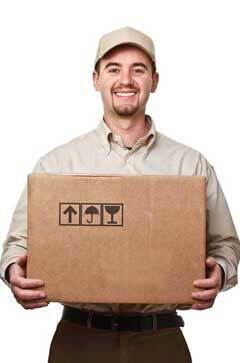 CarewayClub's delivery-to-the-door is convenient and time-saving. I set up an AutoBuy plan for my Mom, and when we need to adjust her order, your sales staff is available, courteous and flawless. CarewayClub has been a great service for us. I'm very happy with the service and response I have received. Great Product, next day delivery! Great service! My husband loves this product and the auto-ship is very convenient. My last shipment I received only one package and there should have been two. Human error and with an email that day which was responded to promptly and had the second package in a day. Great service and great product. 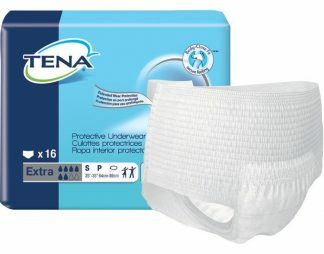 Tena classic protective underwear prevent accidents better than any other protective underwear I have tried. I have mobility problems and convenient delivery to my home makes shopping much easier. Tena male guards are superior to others tried. Best and easiest way to obtain product is through tens club. Thank you. I searched high and low for diapers for my 5 yr old. I tried all sizes up to 7. They just couldn't hold the amount he would pee every night. So, it was constant wet diapers that leaked onto his bedding. What a pain!! Finally I found this site for youth diapers. I was skeptical, as I had already tried adult diapers and they were too big. I caved and tried them. I AM SOOOO PLEASED!!!!!! Best thing I ever did. They are more comfortable for him and I don't have to wash sheets every night. WooHoo. Thanks CarewayClub! I have been telling anyone who is involved with my husbands care that these Tena Underwear for men are by far the best he has used! Just wanted to compliment you all on your great product and how I love your pads! I give a 5 star review! My daughter placed the order for me on Friday afternoon, and I called her on Tuesday in such surprise that I had already received the shipment!! I have a real hard time finding these pads at my local Walmart. When I finally asked one of the employees about them, she told me they will not be carrying them anymore. 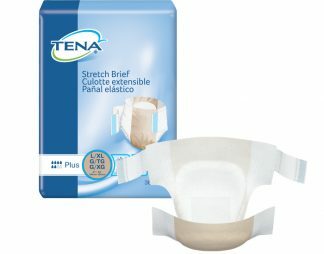 All the other pads irritate me, and Tena is the only brand that does not cause me any irritation or discomfort. I was very happy when my daughter found out that she could order them online, straight from your company! I was afraid I was stuck purchasing a brand that I couldn't handle, due to my sensitive skin. I was purchasing the Tena Super Overnight Pads from a local business. They were always out of stock and whenever they restocked I could only purchase 1 carton due to the high demand. Another customer referred me to CarewayClub. Not only do I receive my products within a few days, I purchase the case for the local price I was paying for the carton and it’s delivered to my door. Love the products and love the convenience and pricing as well. Your Ultimate pads save the day and night for me. They are superior in quality and absorption. Thank you for them. 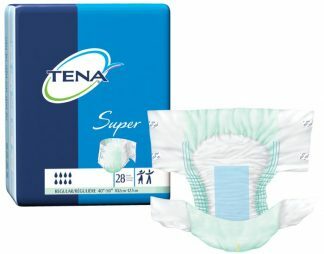 I have been wearing protective underpants since 1999 and have settled on Tena as the best. This product fits my husband sooo much better than attends and doesn’t bind his “junk.” Plus they are superior at leak protection. Will be buying these again!! I am very satisfied with these pads. I use diaper pins to secure them inside an overnight pull up.It is very convenient to receive them each month automatically. I can only say that service is superb. Your service could not be any better. Subscribe to our Newsletter for Informative Blog Articles with Exclusive Coupons & Promotions. Plus get a 10% OFF Coupon!